Â Cluster Resources, Inc. today announced the release of Moab Cluster Suite 4.2 for Mac OS X. It is the first release of Cluster Resources' cluster management suite to support the Mac OS X platform and includes: Moab Workload ManagerÂ, a policy-based workload management and scheduling engine; Moab Cluster ManagerÂ, a graphical cluster administration interface, monitor, and reporting tool; and Moab Access PortalÂ, an end-user job submission and management portal. Moab Cluster Suite 4.2 also supports Linux and Unix-based server platforms and Mac OS X, Linux, Unix and Windows clients. achieve new levels of control and efficiency. "With dual G5 processing power and up to 8GB of ECC memory, Xserve G5 is affordable, easy to manage and easy to cluster making it the perfect platform for high performance computing,Â said Ron Okamoto, Apple's vice president of Worldwide Developer Relations. ÂMoab Cluster Suite 4.2 delivers a powerful management suite for complex computational clustering to our customers who benefit from the strong performance of Mac OS X and Xserve G5 servers." One of the notable sites leading Mac OS X adoption in the cluster and grid space is Virginia Tech. Its System X cluster landed at number three on the Top500 list in November of 2003 and was recently upgraded to an Xserve G5 based cluster. The Moab suite provides Mac OS X sites with an easy cross-over into the supercomputing arena, as users can engage in high performance computing without wasting time learning to maneuver through a difficult interface. The Moab Cluster Suite can be used to enforce service level delivery to users, groups, projects or organizational units. Moab's service level enforcement can ensure the right resources are delivered and that response times are optimized. Reports can be generated to accurately monitor usage and can be used for cost sharing or bill-back purposes, using either virtual credits or actual financial charges. ÂWe wanted to enhance our cluster management as it was quite challenging to coordinate all the different applications, research groups and desired policy settings,Â said David Osguthorpe, Director of Computational Biology of the University of Colorado Health Sciences Center. The Moab Cluster Suite 4.2 is available for immediate release. Organizations interested in a free evaluation copy of Moab Cluster Suite or access to Cluster Resources' On-line Demonstration Cluster can visit http://www.clusterresources.com/products/eval. Cluster Resources, Inc.TM is a leading provider of workload and resource management software and services for cluster, grid and utility-based computing environments. 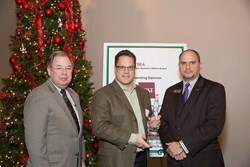 Drawing upon over a decade of industry experience, Cluster Resources is recognized as a leader in innovation and return on investment, delivering the software products and services that enable an organization to understand, control and fully optimize their computer resources, while minimizing the hardware required to meet objectives. For more information call (801) 873-3400 or (888) 221-2008 or visit http://www.clusterresources.com. Growing Emphasis on the Importance of Due Diligence Reporting Drives the Market for Virtual Data Rooms, According to New Report by Global Industry Analysts, Inc. Follow us on LinkedIn – Virtual data rooms (VDR) as a new generation of online document storage and filing system is witnessing strong interest and adoption among enterprises. Defined as a virtual form of the traditional physical data rooms that serve as repositories of important and confidential company related data, VDRs replicate the same function over the Internet using computers. The tough and challenging economic climate which continues to remain the new normal in developed countries and the ensuing pressure on corporate bottom lines is driving significant interest in cost effective IT technologies and solutions. Cloud computing and cloud based technologies, over the last decade, have emerged to revolutionize the very structure of IT departments worldwide. A disruptive force in the making, virtual data room services represent the most efficient model of delivering file storage resources to companies. With almost all industries worldwide now being dependent on compute resources, virtual data rooms, which represent a cloud based resource, is forecast to witness strong growth. Adoption of VDRs will continue to benefit from the maturing cloud concept and the resulting increase in interoperability, data portability, and lower costs. Disadvantages associated with traditional information storage and management strategies include risk of data loss and misplacement, high upfront capital costs in case of physical data rooms, time consuming filing process, lack of security, and limited efficiency benefits. All of these drawbacks are helping drive the migration to VDRs. Key benefits of VDR driving its adoption include automatic creation of backup of all uploaded files/data, superior security controls, efficient support for multiple users, easy and hassle free retrieval and viewing of files, cost effective storage of regulated information, compliance with regulatory norms, rapid anytime access to files, flexible pay per use billing, elasticity and ability to scale up datacenter resources as per requirement, among others. VDRs in addition also offer a superior alternate solution to generic file sharing (GFS) programs like Dropbox, and Google Drive, which although effective for consumer personal use, are often ill-suited for enterprise applications. Security glitches such as, violation of privacy norms like unauthorized sale or sharing of information with third parties, infrastructure limitations, limited reporting features, inability to track & trace user statistics and lack of strong backup options for files stored, remain key concerns with the use of GFS programs. Virtual data rooms in this regard offer a robust and secure platform for sensitive data storage and sharing. Typically, use of VDR is dominated by corporate functions such as mergers & acquisitions (M&A), divestitures, liquidation, IPOs and bankruptcies. Future growth, however, will be led by increased adoption of VDR in facilitating newer corporate functions such as investor communications, fundraising, research & development, asset purchases, loan syndication, and supply chain secure document sharing, among others. While investment banks, manufacturing companies, and law firms represent dominant users of VDR, healthcare and pharmaceutical companies are emerging as a lucrative customer cluster, driven by increased drug development and licensing collaborations, patent filing activity and the growing need to protect IP property. As stated by the new market research report on Virtual Data Rooms, the United States represents the largest regional market followed by Europe. Asia-Pacific is forecast to emerge as the fastest growing market with a CAGR of 20.7% over the analysis period. Major players in the market include Ansarada pty Limited, AppFolio, Inc., Brainloop, EthosData, Firmex Inc., Global KAP Pty Ltd., iDeals™ Solutions Group S.A., Intralinks Holdings Inc., Merrill Data Site, RR Donnelley & Sons Company, ShareVault, TransPerfect Deal Interactive, and V-Rooms™ among others. The research report titled “Virtual Data Rooms: A Global Strategic Business Report” announced by Global Industry Analysts Inc., provides a comprehensive review of market trends, mergers, acquisitions and other strategic industry activities. The report provides market estimates and projections in US dollars for all major geographic markets including the United States, Canada, Japan, Europe (France, Germany, Italy, UK, Spain, Russia and Rest of Europe), Asia-Pacific, Latin America and Rest of World. For more details about this comprehensive market research report, please visit http://www.strategyr.com/Virtual_Data_Rooms_VDR_Market_Report.asp. Emerging New Applications to Drive the Market for Flexible Glass, According to a New Trend Report Published by Global Industry Analysts, Inc. Follow us on LinkedIn – Flexible Glass is an ultra-thin glass that provides high barrier performance, robustness, temperature stability, durability and transparency associated with a rigid glass, in a flexible form. Flexible Glass also features the scratch resistance and rigidity properties of standard plastics. 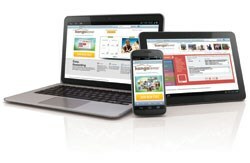 The growing need for slim and scratch-resistant displays is expected to drive the use of flexible glass in smartphones, tablets, and notebook computers. Solar shingles also represents a lucrative application area for flexible glass. The trend report titled “Flexible Glass” announced by Global Industry Analysts Inc., is a focused research paper which provides cursory insights into the product, its evolution, applications, and future prospects, in addition to providing coverage on corporate initiatives of key companies worldwide. The report also provides global market estimates and projections for Flexible Glass in US dollars for years 2013 through 2018, for key end-use markets such as PV Sector, OLEDs (Display and Lighting), and others. Also covered are companies such as Abrisa Technologies, Asahi Glass Co. Ltd., Corning Inc., Nippon Electric Glass Co. Ltd., and Schott AG, among others. For more details about this trend report, please visit http://www.strategyr.com/TrendReport.asp?code=146014. The RFVolt2000A wireless voltage data logger allows users to track various voltage outputs by connecting directly to DC voltage sources. Designed for flexibility, the RFVolt2000A can also connect with a wide range of voltage sensors, transmitters and transducers for monitoring pressure, CO2, and more. The RFVolt2000A is available in four different models, a 2.5V, 15V, 30V and a 160mV option, covering a dynamic range of potential uses. This 2000A data logger series comes standard with an LCD screen, providing instant access to current readings; minimum, maximum and average statistics. Through the MadgeTech Data Logger software, the engineering units can be programed into the device where the conversion of voltage signals can be displayed as PSI, % or PPM. The statistics can be reset at the keypad of the device, allowing customers to keep track of statistics over certain time periods. This convenient feature does not erase any data recorded, but only resets the statistics count. 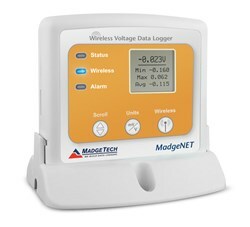 This wireless data logger can be utilized as a stand-alone data logger or it can be developed into a large scale system that incorporates hundreds of loggers; (additional MadgeTech wireless data loggers and transceivers may be required.) 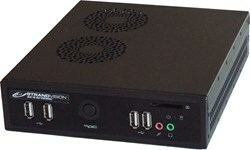 The RFVolt2000A works with the latest MadgeTech 4 software, available to download free from http://www.madgetech.com. MadgeTech 4 Data Logging Software is a comprehensive, all-in-one system for monitoring and managing your devices, storing files, creating formal reports and performing in-depth analysis. Downloaded data from the loggers is automatically saved to the internal file database within the MadgeTech 4 Software, ensuring original records are always retained. Customizable graphical, tabular and statistic reports can be created and presented to clients, auditors or kept as a physical archive. The software features the ability to export to Excel®, use data annotation, digital calibration and more. The RFVolt2000A is priced at $ 289.00 USD. For volume discounts or for more information please visit http://www.madgetech.com or call (603) 456-2011 and speak with our expert sales and support staff.